With CIDPEX18 around the corner in April next year, let’s take a step back to reflect on this year’s great global event. CIDPEX17 in Wuhan, China, was a great success! Over three days in March, attendees chatted with our passionate problem-solvers and experienced our products. They touched. They stretched. They saw how our next generation solutions can make a difference to everyday finished goods. 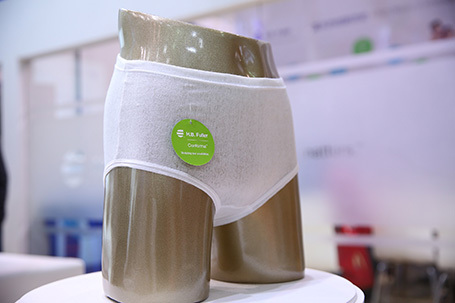 At the largest exhibition for tissue paper and disposable hygiene products industry in China, we brought to the market some break-through innovations that connect our technology to some exciting trends: construction and elastic adhesives for super-soft nonwovens, stretchable adhesives, a new generation of wetness indicators, and advanced core adhesives that are a fit for a nonwoven core wrap. Consumers are expecting more from their hygiene products today. Low odor. Comfort. Softness. 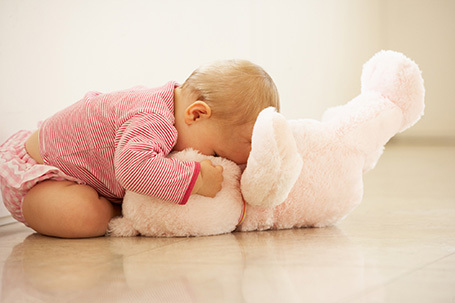 Interestingly, the Asia Pacific diaper market has raised the bar when it comes to softness, and other parts of the world have followed suit, creating more value-oriented and differentiated options. At H.B. Fuller, we offer customers a seamless balance of super softness and excellent bonding properties with our Full-CareTM 5188, a high-performance construction adhesive, and our Full-CareTM 8008, a premium performance elastic attachment adhesive. Both products have been tailor-made for more difficult substrates, like super soft nonwovens. Both offer low odor and light color. In terms of elastic, Full-Care 8008 provides best in class creep resistance. According to studies published by the National Association for Continence, stress urinary incontinence is the most common form of incontinence among women. Our new ConformaTM stretchable adhesive enhances style and fit so that absorbent product designers can create an all-over stretchable and discreet product for future consumers. The adhesive has retractable features and is applied with standard hot melt equipment. When paired with an extensible nonwoven, Conforma adhesive creates a conformable fabric that hugs the curves of the body, adapting comfortably to a world of individual shapes and sizes. Pretty cool, right? In fact, it was a big hit both at CIDPEX17 and INDEXTM17, reaching the finals in the INDEX Awards. We had a full house for Kristy Beckman’s speech about our Conforma adhesive!